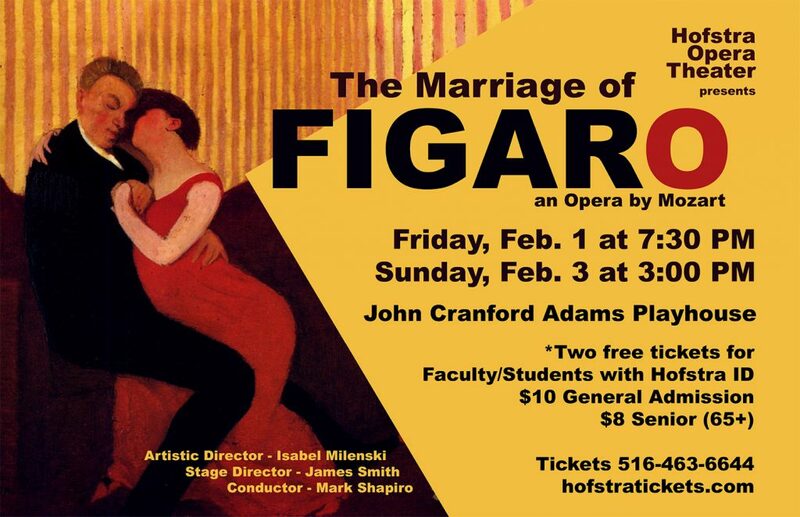 The Marriage of Figaro, Mozart’s comic opera about love and fidelity in four acts, will be performed by Hofstra Opera Theater at the University’s Toni and Martin Sosnoff Theater at the John Cranford Adams Playhouse, South Campus. Fully staged and performed in Italian with English subtitles, the production is conducted by Mark Shapiro and features artistic direction by Isabel Milenski and stage direction by James Smith. 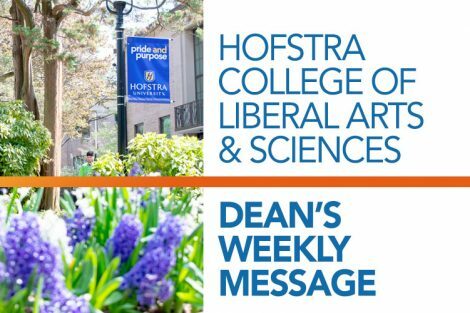 Show times are Friday, February 1, at 7:30 p.m. and Sunday, February 3, at 3 p.m. Members of the Hofstra community may receive up to two free tickets upon presentation of a current HofstraCard. 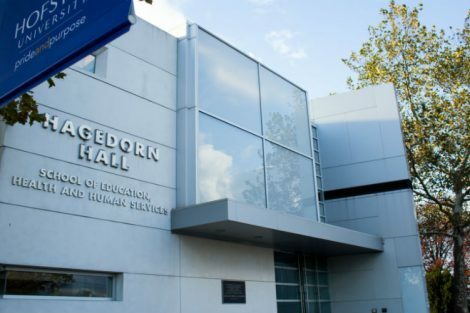 Tickets are $10, $8 for senior citizens and matriculated non-Hofstra students with ID. For tickets and more information contact the Hofstra Box Office at 516-463-6644. Tickets are also available online. If seats are still available, they will be sold at the door starting 90 minutes prior to showtime at the Box Office.